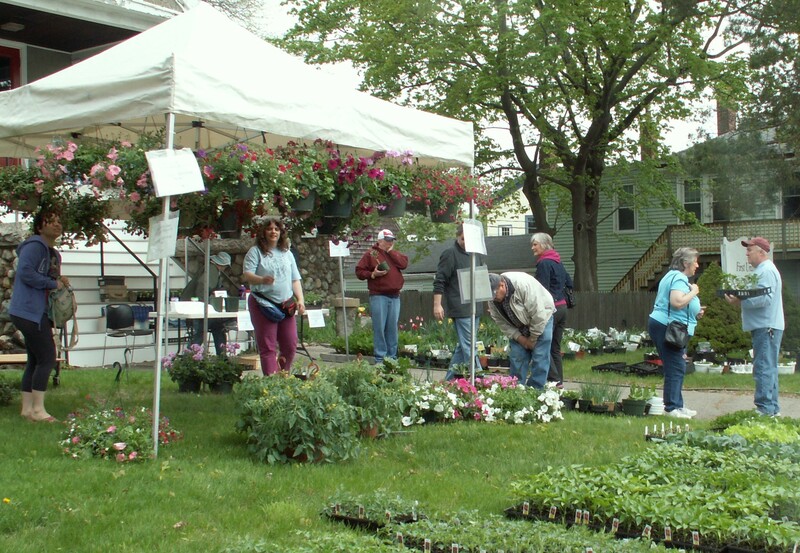 The 16th Annual UU Middleboro Plant Sale will be held on Saturday, May 7, rain or shine, on the front lawn of the First Unitarian Universalist Society, 25 S. Main St., Middleboro, from 10:00 am to 3:00 pm. Please come and peruse the wide selection of hanging plants, vegetables, annuals, and locally grown perennials from members’ gardens. 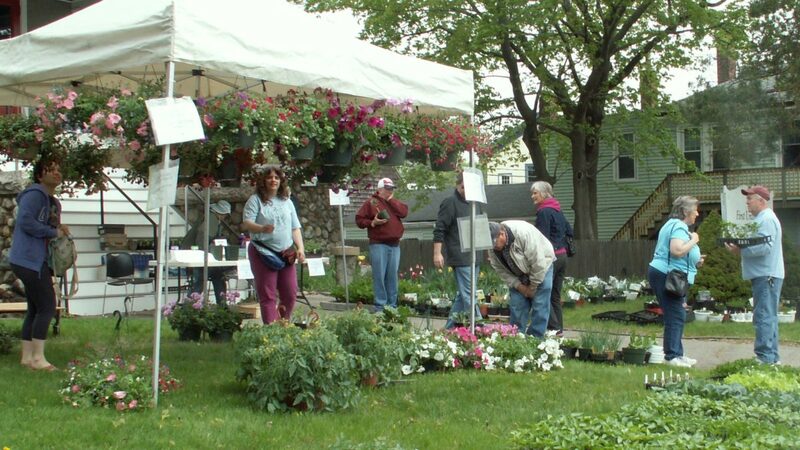 The corner of South Main and Nickerson in Middleboro will bustle and bloom again on Saturday, May 7, from 10 to 3, as gardeners from UU Middleboro spread on the church lawn a bounty of garden plants for other gardeners to peruse and purchase. People searching for a gift for Mother’s Day will find perennials full of promise and hanging baskets already in full glorious bloom. 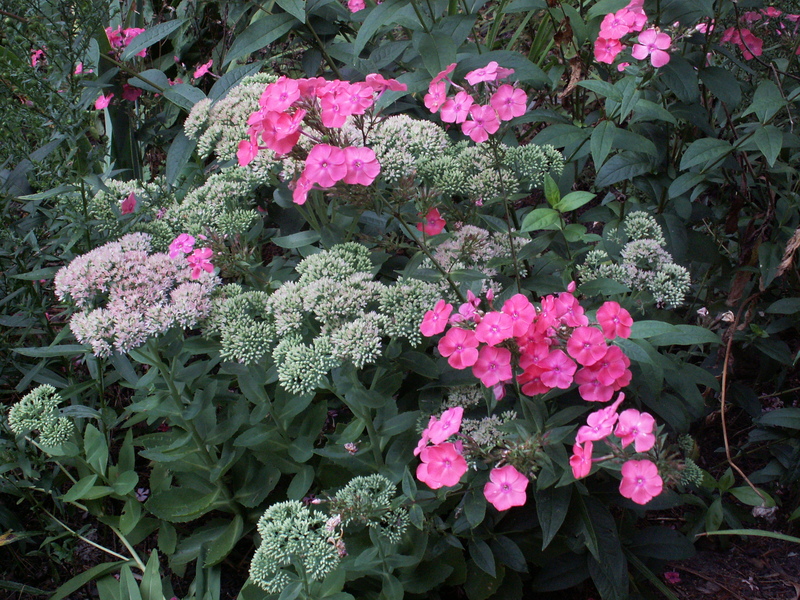 Phlox and Autumn Joy Sedum. 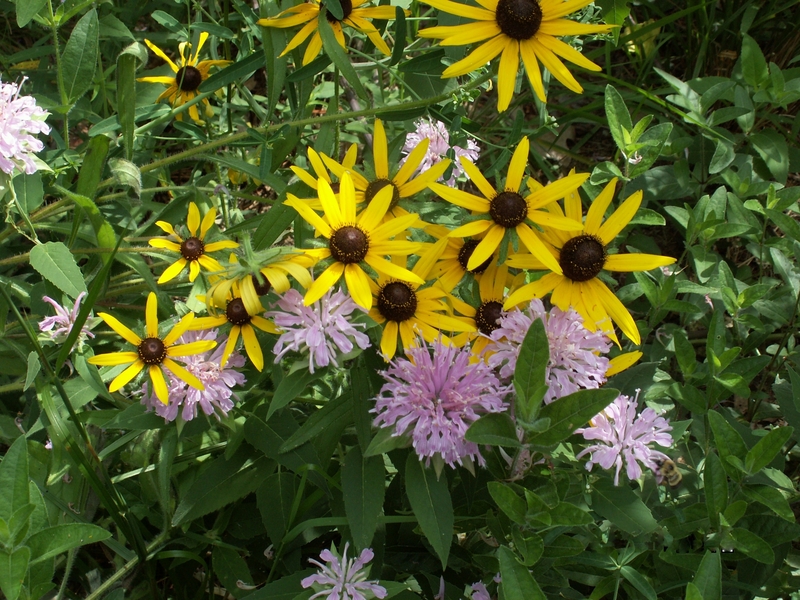 The selection of tried and true perennials, dug from local gardens, will include plants for sun and shade, from ground hugging sedums to tall moisture-loving meadow rue, many native to New England and many that support local pollinators. In a separate section of the lawn there will be a collection of edible perennials and herbs, also dug from local gardens. 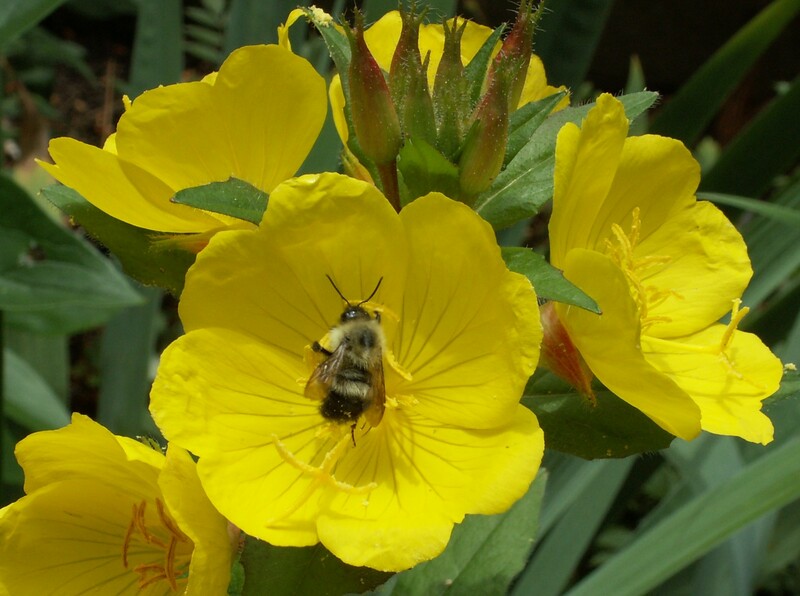 Evening Primrose indulging a bumblebee. 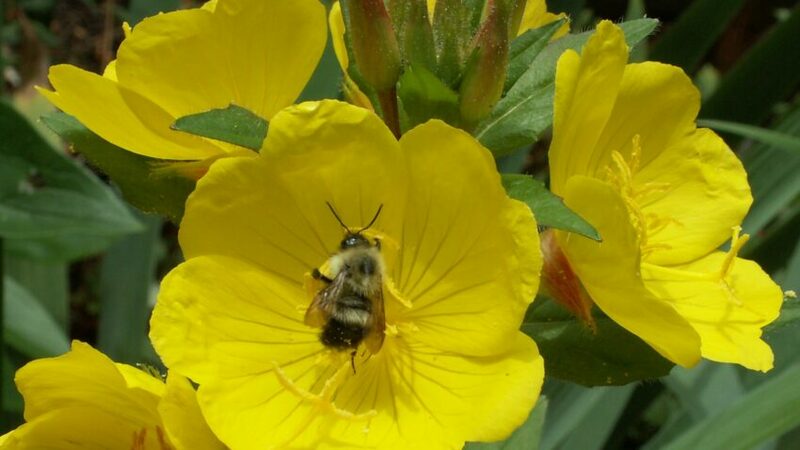 In addition to hanging baskets filled with annual flowers, there will be flat after flat of assorted annuals for flower beds or planters, and flat after flat of seedling vegetables and herbs, to give backyard and front gardens a head start for a summer of color, fragrance, flavor and nutrition. Experienced gardeners from the church will be on hand to help with selections, discuss garden plans and problems, and to alert shoppers to any unruly tendencies even some of the most desirable flowers may have. People who can’t get to the sale on Saturday will have a chance at what is left for a few hours on Sunday, May 8.